Jani Master (Shaik Jani Basha) is an Indian dance choreographer who has primarily worked in Telugu, Hindi, Kannada and Malayalam language films. In a career spanning a decade, he has choreographed wide range of dancing styles, but specifically known for his Western and Folk style. He has garnered a Filmfare Award and several awards for best choreography. 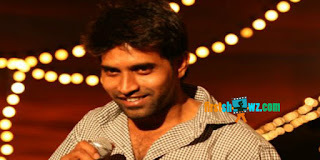 Jani began his career as a dancer in Telugu films, before bagging an opportunity as a choreographer for Drona in 2009. He earlier worked for popular dance show Dhee in ETV, where he earned much recognition for his dance talent. Recognizing his talent, actor Ram Charan gave him the job of choreographing the dances for Racha, which is Jani Master’s big break in Telugu. Pleased with his work, Ram Charan went on to offer him choreography in his every other film. He then went on to become a leading choreographer working for prominent stars Pawan Kalyan, Allu Arjun, NTR, Ram, Ravi Teja and others. He has also shown his singing talent by crooning for a number, dedicating it to Ram Charan. In 2014, Bollywood actor Salman Khan hired Jani Master for Jai Ho for choreographing three songs. He also choreographs award ceremonies and the events. As of 2016, Jani Master is engaged in several Telugu, Hindi and Malayalam film projects.